Lucy Lediaev is an experienced corporate and freelance writer with hands-on craft, crochet, and technical and business writing skills. In addition, she was a corporate web master before her retirement. She has worked as a volunteer with both children and seniors, teaching them domestic, handicraft, and computer skills. Lucy has a lifelong love of crafts and grew up in an extended family where hand skills were valued. She is particularly fond of paper crafts, such as origami, kirigami (paper cutting), and handmade greeting cards. In addition, she has had hands-on experience with simple weaving, tole painting, woodworking, decoupage, tie dye, copper enameling, pottery, and many other crafts. Lucy crocheted many items, especially baby gifts, during the long Midwestern winter evenings of her youth. A gift book on amigurumi re-ignited her interest in crochet, and she began producing cute little animals with bits of yarn. These charming "toys" are popular with both children and adults; they leave her hands almost as soon as they come hot off the crochet hook. She also makes hats, scarves, and other accessories, often adding whimsical touches to these items. Over the past decade, Lucy has volunteered with seniors in a number of capacities. She taught a "Grandparents and Me" class on Saturdays, sharing crafts, cookie decorating, food preparation and other skills kids and elders could enjoy together. For more than five years, she has taught a basic personal computer class that prepares seniors for more advanced classes. She has assisted low-income seniors in applying online for Section 8 housing. She participates in the local congregate meals program and has had formal training in food service so she can serve meals as needed. She was instrumental in setting up a senior art club at the local community center and participates there twice a month. As needed, she researches resources in the community for the director of the local senior program and with individual seniors. Monthly, she distributes food from a local food bank to seniors who attend the congregate lunches. Lucy has considerable experience writing for medical professionals in the sold organ and bone marrow transplant industry. For thirteen years, she wrote technical documentation, marketing copy, newsletter articles, and web copy for the leading manufacturer of transplant diagnostic tests. In addition, since her teens she has regularly read medical articles to keep current on medical topics, including pediatric health. She has edited numerous technical articles written by medical researchers for major medical journals. Prior to her retirement from the business world, Lucy had responsibility for the programming and content of a large corporate web site. She performed day-to-day programming of the site and managed external resources for graphic design and back-end programming. 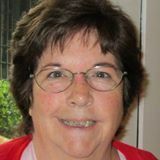 Lucy has over 30 years of experience as a technical and marketing writer for computer and medical products. She has written marketing copy, press releases, business plans, marketing plans, and newsletters. In additon, she has written numerous articles on a wide array of subjects for the Internet. Since retiring from her position in the corporate world, she has learned to format books for electronic publication and sale. Who Is the Author of Little Women and Little Men? Do I Need a Geriatric Care Consultant?